Many authors have tried to write New York City-based fairy tales, but with THE CHANGELING Victor LaValle gets it right. Here, the city is home to monsters both real and imagined, physical and online, hidden behind mystical glamours and cold, hard computer screens, in the forests of Queens and on abandoned islands in the East River. THE CHANGELING expertly balances on a tightrope between horrific phantasmagoria and crisp realism, but that’s something I’ve come to expect from LaValle, whose excellent previous novels BIG MACHINE and THE DEVIL IN SILVER walked that same tightrope just as effectively. 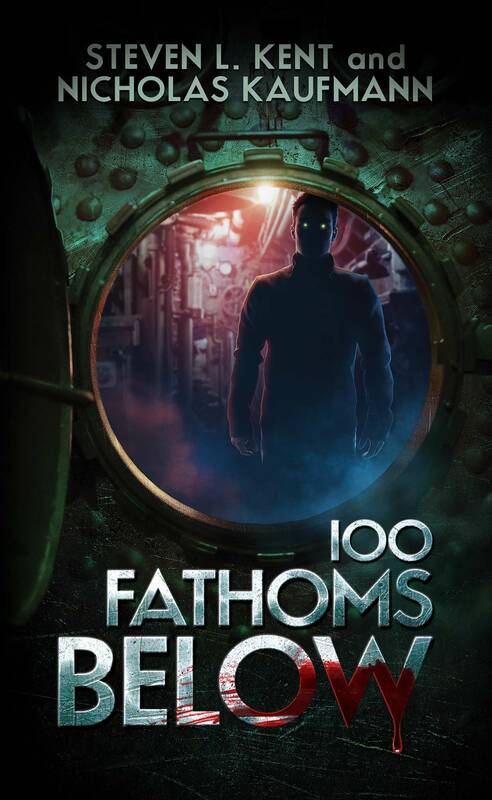 (His recent novella THE BALLAD OF BLACK TOM jumps gleefully over the rope straight into the playground of genre fiction to sterling effect.) I unreservedly recommend anything LaValle has written, but with characters you can’t help but identify with, even if you’re not a parent, and a story so compelling the pages fly by, THE CHANGELING might be his most accessible novel yet. Besides, how could I not love a novel in which the author makes a passing reference to one of my own books? A heart-stopping psychological suspense novel about a Texas prison official driven to commit the perfect crime, by the author of the international bestselling thriller Baby Doll. Working on death row is far from Kristy Tucker’s dream, but she is grateful for a job that allows her to support her son and ailing father. When she meets Lance Dobson, Kristy begins to imagine a different kind of future. But after their wedding, she finds herself serving her own life sentence — one of abuse and constant terror. Does she have what it takes to commit the perfect crime? 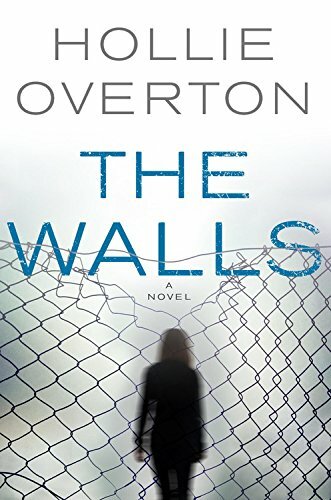 When I began writing my second novel, The Walls, I alternated between feeling incredibly inspired and consumed with anxiety. The expectation of whether I could write another book, and if I did, whether it would be as well received, weighed on me. But eventually I realized the only thing I could control was the writing. Focus on that and everything else will fall into place. I set out to do that with The Walls but life had other plans. 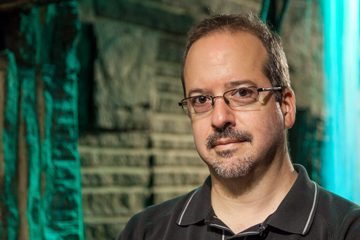 The scariest part of writing this book was coping with one of life’s greatest losses. My mother, Betty Overton, was a domestic abuse survivor. She married my father and adopted my twin sister and I when we were just six days old. By the time we were four, his addictions and violent temper were spiraling out of control and her only choice was to walk away. When I first had the idea for The Walls, about a woman who marries a violent man and must find a way out, I thought a lot about my mom and that sacrifice she made, giving up the man she loved for the love of her children. When I wasn’t working, I would head over to her place. We’d cook dinner or order takeout, then curl up to watch our favorite TV shows and movies, pausing every few seconds to share anecdotes. I always hated leaving Mom, but with deadlines looming, I had no choice. She’d wave off my apologies, reminding me how lucky I was to do a job I loved, a job that allowed me to care for her. With Mom’s words echoing in my head, I’d return to my laptop, eager for her to see the finished product. My mom’s greatest wish was to see me succeed. Each time a new writing dream comes true, I know she’s cheering me on. The Walls is dedicated to my mom, the person who taught me to be brave, taught me how to write through fear and how experiencing death, the scariest thing there is to face can teach you a lot about life. My mom may be gone but thanks to her influence, I have plenty of stories left to tell. Hollie Overton was raised in Texas, and draws on her unique childhood experiences for inspiration. Her father was a member of the notorious Overton gang in Austin, and served time in prison for manslaughter. Hollie is a television writer whose credits include the CBS drama Cold Case and Freeform’s Shadowhunters. Her debut novel, Baby Doll, was an international bestseller, and has been translated into eleven languages. She lives in Los Angeles with her husband and rescue dog. Just a reminder, I’m reading this Saturday, August 5th, in Astoria, Queens as part of the Line Break Reading Series! $7 at the door. More info at the Line Break website. Be there! Meet Greta Helsing, doctor to the undead. 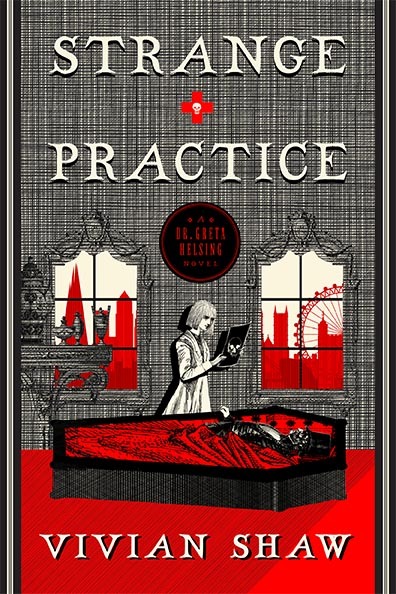 Dr. Greta Helsing has inherited the family’s highly specialized, and highly peculiar, medical practice. She treats the undead for a host of ills — vocal strain in banshees, arthritis in barrow-wights, and entropy in mummies. It’s a quiet, supernatural-adjacent life, until a sect of murderous monks emerges, killing human and undead Londoners alike. As terror takes hold of the city, Greta must use her unusual skills to stop the cult if she hopes to save her practice — and her life. In the end, for me, fear is largely defined by the unknown. Fear of what might be lurking behind the last locked door, or beyond the mirror-black windowpane at night; under the bed; in the recesses of one’s own psyche. The unknown is a vast blank space in which our minds can come up with much more terrible things than are likely to be there, and this is both terrifying and delicious, the way looking down from a great height can feel exhilarating. But most monsters, once you encounter them, are there to eat you. It’s simply a question of how. The scariest part of my book, Strange Practice, is that the monster is not under the bed, or in the closet, or the back seat of the car: the monster is inside people’s heads, and it has slotted its way into the part of their heads that is reserved for faith. For some other periods in its long, long existence, it has pretended to be the voice of conscience, or an oracle whispering in the mind’s ear. It is just clever enough to be indistinguishable from what it purports to represent. This monster — this entity — exists solely to consume. Unlike some monsters, however, it is not only a predator: it manipulates its prey in order to coax from them the substance it particularly enjoys. It’s a fairly well-known concept; Stephen King has written several pounds of literature about creatures that feed on fear, in one way or another, and what I’ve done is in no way groundbreaking — but the thing I wrote about is particularly nasty in the way it gets inside your head. Of note, additionally, is the way in which it transmits its power to the people under its control, and this was particularly entertaining to write: I have always loved the delightful spookiness of old-fashioned electrical technology, and getting to feature that as a talismanic, supernatural focus of belief was fun. Because the thing in Strange Practice is clever, in a blind cunning kind of way. It finds its way into your mind, and works out what it is you believe, and like a radioactive isotope of some element you actually want or need, it fits itself into that hole and takes advantage of your mind’s own pre-existing settings. It has been many gods, to many people, over the millennia. It is good at languages. It picks up quite quickly, and seamlessly, the cadence and vocabulary associated with various forms of scripture. What it wants, more than anything else, is to feed — and what it feeds upon is pain and fear and hatred. What it wants is to feed, and what it eats is fear and loathing, and it is not the creature itself but the way in which it takes its meal which I find the most frightening — perhaps because it is so difficult to disprove. There is no way to be absolutely certain that the little voice in the back of your head is your own. The monster under the bed and the monster in the closet, in the depths of the ocean, in the long shadows of the wood, are identifiable as themselves: a predatory other, waiting for you. The truly scary part of my book is that the monster itself inhabits your own perceptions, shaping itself to fill the holes already waiting for it, and it might already be in there. Might have been there all along. In Strange Practice, there are authorities which keep an eye on things to (hopefully) prevent any such occurrences. In the real world? Well, you take your chances — and stay away from 1940s electrical technology, at least in caverns under the earth. Can’t be too careful, after all. Vivian Shaw was born in Kenya and spent her early childhood at home in England before relocating to the US at the age of seven. She has a BA in art history and an MFA in creative writing, and has worked in academic publishing and development while researching everything from the history of spaceflight to supernatural physiology. In her spare time, she writes fan fiction under the name of Coldhope.